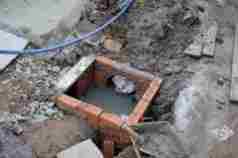 To find the design flow in sanitary sewer the following steps are followed; 1. Forecast the design population (P) of the area; 2. Find the sewage flow per day by multiplying population with flow per day per capita of sewage.